October | 2011 | NICE! 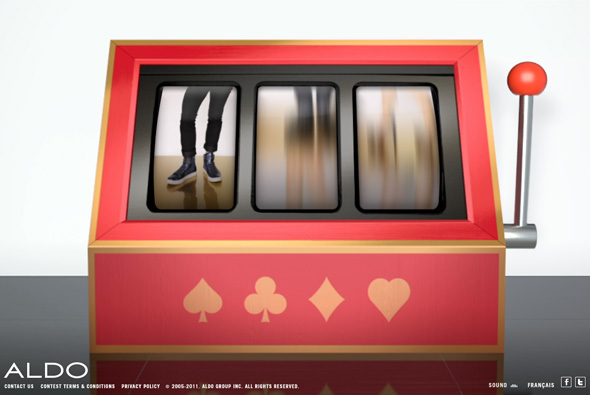 Fun upbeat site promoting Aldo’s A/W 2011 range of footwear. Simple promotion – play 3 short games – i.e. 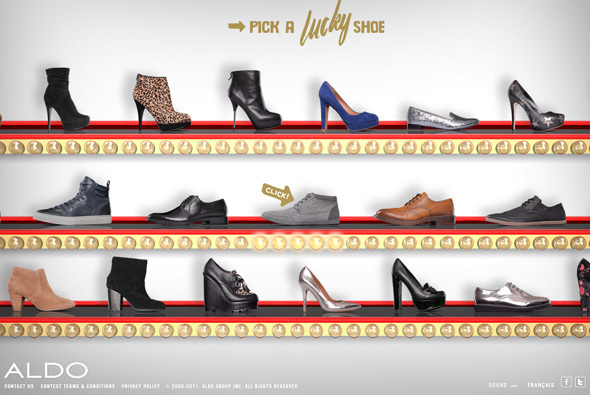 pick a lucky shoe, and if you win all 3 you get a discount and might win ‘shoes for life’. 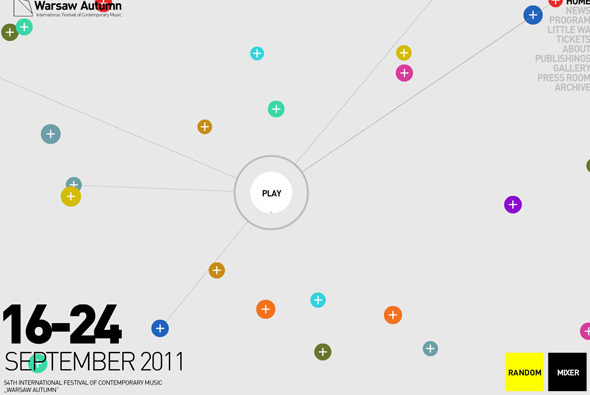 Really simple site, but a lot of fun – brought to life by sound, music, and animation. 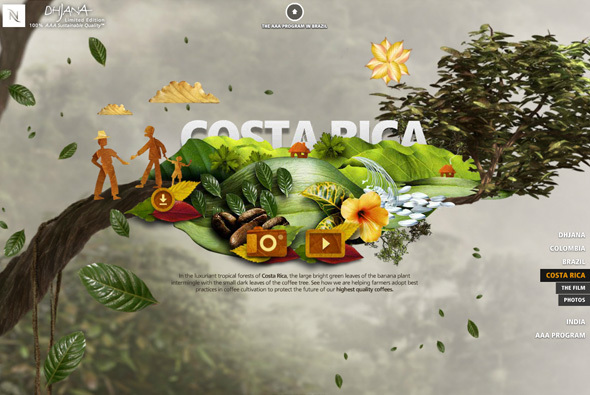 Nicely put together and designed with a real emphasis on an upbeat and fun look and feel. Created by Skinny and B-Reel. Site for the 54th International Festival of Contemporary Music held in Warsaw. 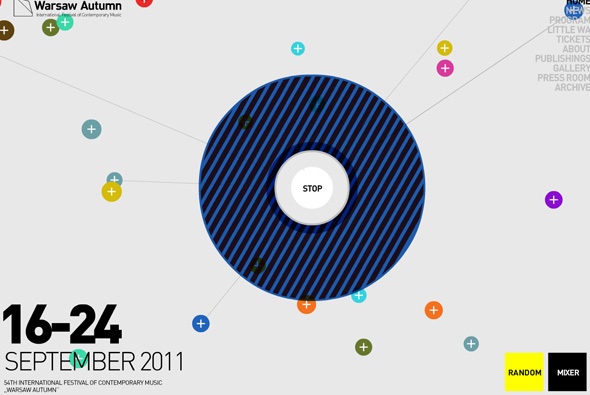 Love the way you can make your own composition from the various sounds of the homepage, when it plays shapes and colours appear around the centre responding to the sound waves made – very cool. 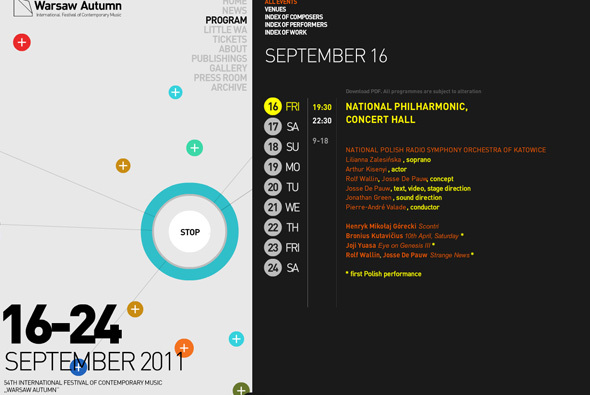 Nicely minimal lay out and look and feel, with a fun interface, nice. Crafted by Soleil Noir and Lowe Stratus. Site promoting O’Neill’s Women’s range for a/w 2011. 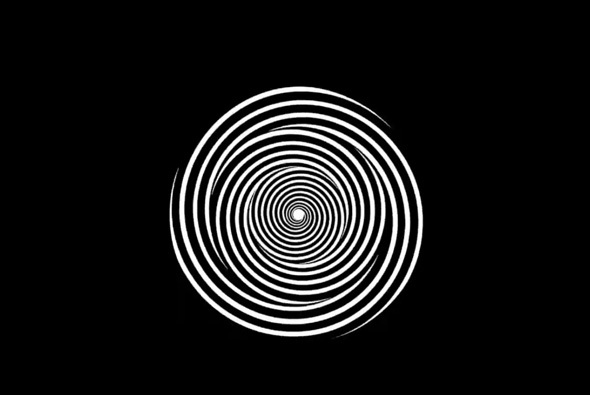 Centred around the concept of ‘illusion’, before seeing the clothing small optical illusions are shown – they didn’t really work for me but hey it’s a fun idea. Nice transitons and look and feel, nice play on the scrolling theme – overall pretty slick and fun to use. Created by Achtung! and thispagecannotbefound.com. 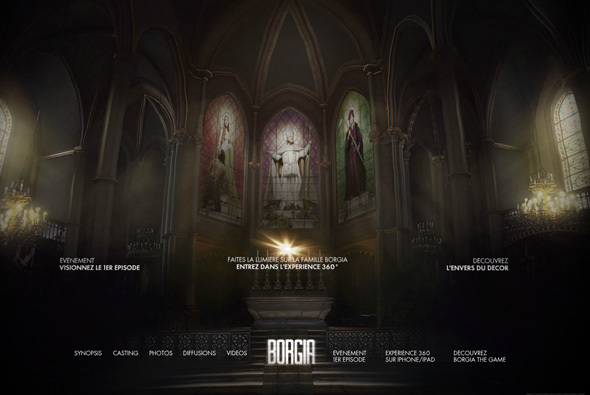 Site promoting the new TV show “Borgia” by Canal+ in France. 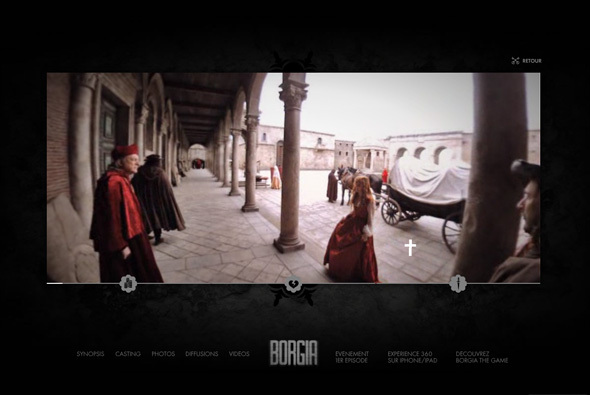 Incredibly well produced and created immersive site, one of the main features an interactive trailer allowing you to pan around the video 360 degrees and watch the scene almost like a video game. I love the way this 360 video works, so you can pan around and get a real feel for the scene they have created. 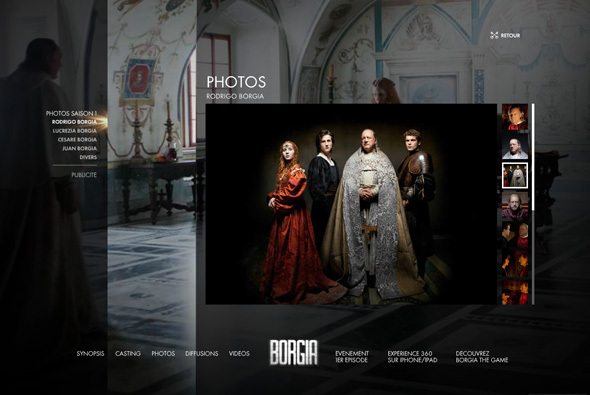 This is all wrapped up in a nice interface, the other sections such as photos all look great and work. 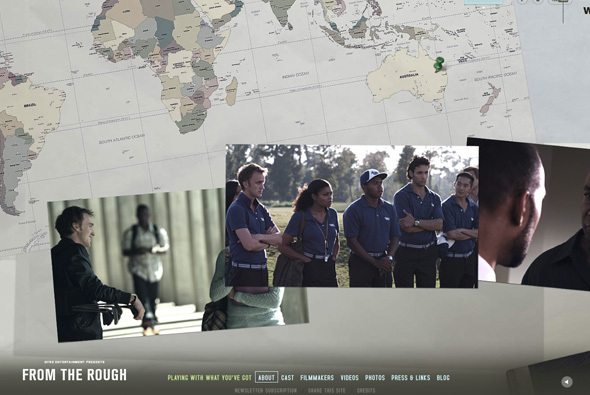 Really nice detailed and well crafted site. 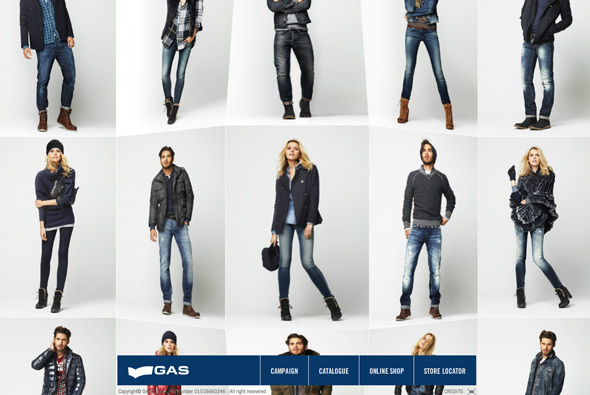 Site of Gas Jeans latest collection Autumn / Winter 2011. 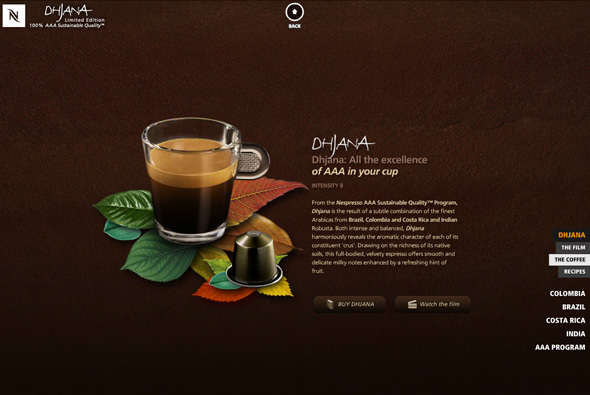 Homepage is a bit of a rip off of yugop’s wonderwall – but the rest is pretty nice. Very simple with nice transitions and burn effects, really like the simplicity of each outfit, with the cool parallax effect on the details just adds some nice movement and interactivity. 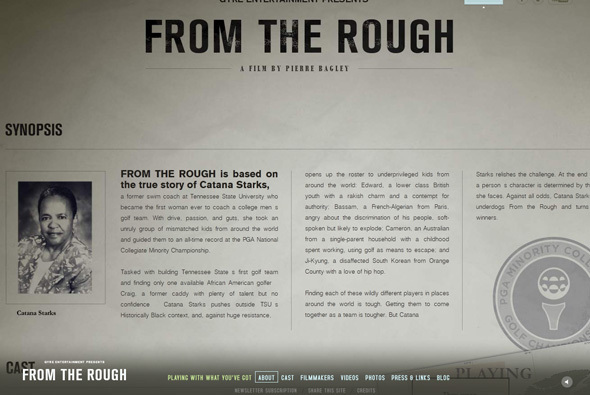 Site promoting the film ‘From The Rough’. Looks great and works nicely but I think what is important is that the whole site is non Flash – which is quite interesting – as it has non of the clunkiness and has all the nice smooth animations and transitions you might expect. It is quite impressive to see. 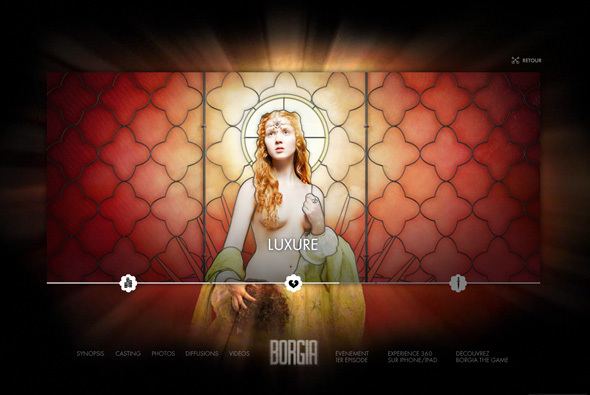 The whole section containing the information about the site is quite a marvel allowing you to move around and explore – all in all a great showcase for what you can do right now with non Flash technology. 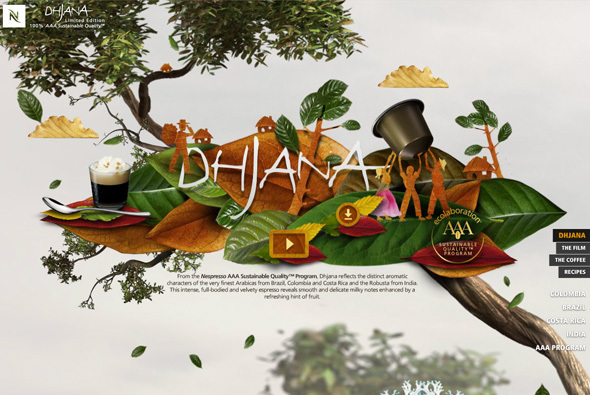 Created by Dilshan Arukatti & Sylvain Tran. 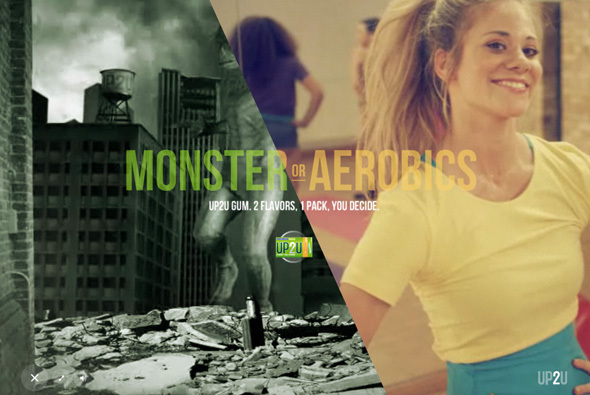 Fun site for Up2U chewing gum from the makers of Mentos. 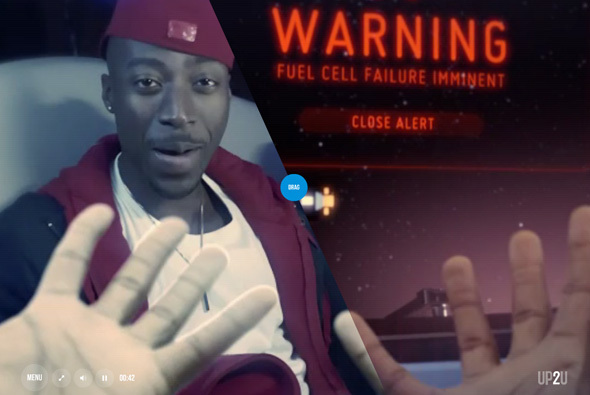 Giving you the choice to view a scene between various scenarios such as an astronaut or a hip hop artist, zombies and a game show, where your actions are the same in each – all based around the concept of the gum – 2 flavours – 1 pack. I like the way you swap between the scenes using your mouse to drag between them, with your hands and so on perfectly matched between the scenes. It looks great too, and nicely crafted.